In April of 1943, four young boys in the woods discovered human remains buried in a European tree called a "wych elm." Found in the tree were a human skull, an almost complete skeleton, a gold wedding ring, a shoe, and fragments of clothing. 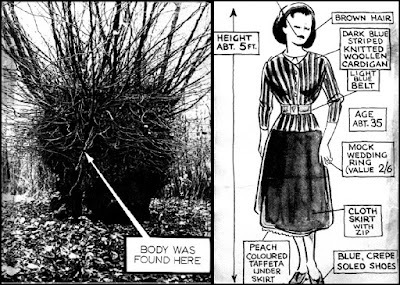 Crime scene and police sketch of victim. Source: TheUnredacted.com. The medical examiner identified the skeleton as female, placing the death at 18 months or more prior. He said to fit into the tree, she would have had to have been alive when placed in there. Rigor mortis would have made it difficult for the body to fit after death. Despite the description the police issued, the woman has never been identified. There have been reports and speculation, but no match. But at Christmastime, graffiti began appearing around town. 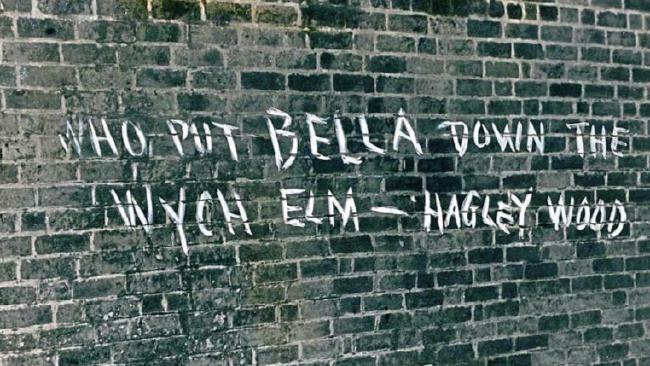 Early graffiti referred to her as either "Bella" or "Loubella," which indicated someone might know the victim. 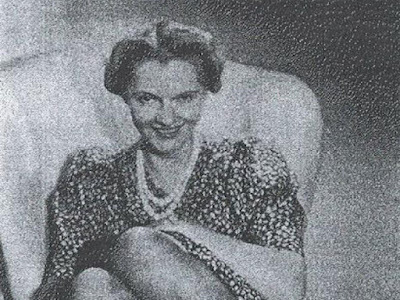 This led to an early connection to a prostitute named Bella who had gone missing in 1941. But there were no family members to help match the victim. 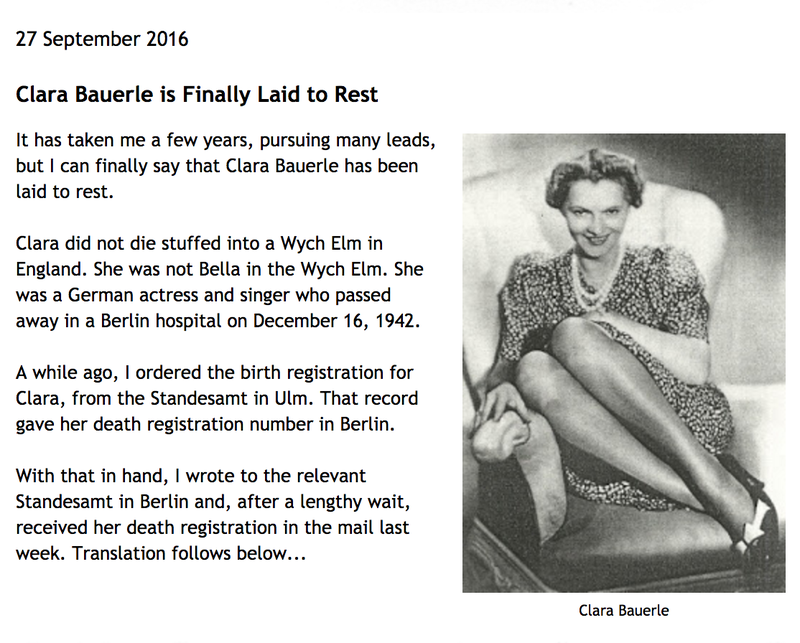 Clara Bauerle was a cabaret singer and German movie actress who was also a spy. However, this blogger says she has proof Clara died in a German hospital in 1942. 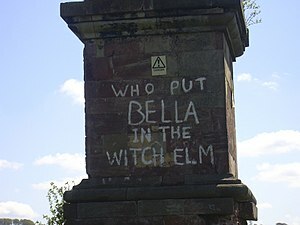 Occasionally, the graffiti reemerges in the area where Bella's remains were found, but that can easily be hoaxers. Unfortunately, we still have no idea who the remains belonged to...or if her name was even Bella. Do you think the graffiti artists knew something? That no one had any idea who she was is really sad. I wonder if she could be identified today? Possibly. Although there are a disturbing number of "Jane Does" out there, which really surprises me in this day and age. Hagley Wood (located in the estate of Hagley Hall, Worcestershire, England). I think the graffiti was possibly authentic back in the 40s...but today it's just people keeping the case alive/causing trouble. How creepy to be trapped in a tree like that. Like Alex, I wonder if they could identify her now. And to be put in alive. Sometimes I'd just rather not know those little details! I each the comments above. I bet they could identify her now. I wonder what it takes to start a DNA investigation? Hmmm....As far as the artist, I wonder if it's just a way to instigate the legend. I think so. It could even be a thing people visiting the area want to do as part of the tradition. It seems like the graffiti artist knew her identity. A shame it was never solved. Sad that nobody missed whoever she was...assuming she was from that area. Maybe she was from somewhere else and she's an unsolved disappearance case there. I bet someone knew who she was at the time, but that was so long ago that person (or persons) is surely dead. She will probably never be identified, but it would be interesting to put her DNA into a database and see what pops out. I could've sworn I recently heard that her remains disappeared. But I may be getting my cases mixed up! What a creepy way to murder someone. That definitely has horror movie potential. But today they'd show every bit of her being put in there and I can't handle that sort of thing! I like hearing about it after it happened, from a distance, and never having to get a visual of it. 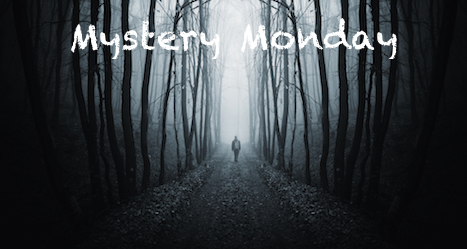 We'll never know, but it makes for a good Halloween mystery. Rigor mortis doesn't happen instantaneously. A big guy or two can do a lot with a newly limp body. That sounded dumb for a medical examiner to say in the first place. 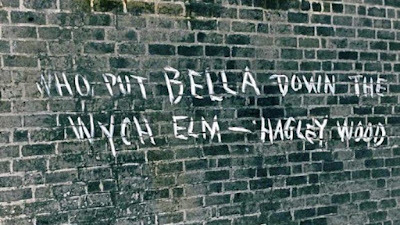 Someone who knew about the missing prostitute named Bella began the graffiti, but that doesn't mean they knew it was her. From the description she wasn't dressed like a typical prostitute. So many questions. Poor thing. Glad the boys found her--even if that had to be really creepy for them. I'm sure they could take DNA test on the articles of clothing belonging to this woman, the peach skirt or something, but without having something to compare it to, it would still be a problem. I'm not sure how it works, but I would think they would be able to compare the DNA on that clothing to DNA to some semi-blood relative of today... I know. Are there any forensic scientists out there who would know how this might work? Excellent article, Stephanie. Very interesting. Yikes--what a way to go. 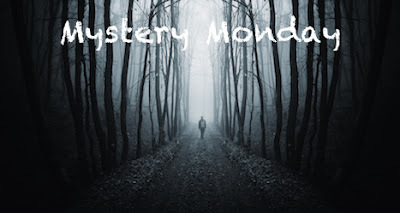 You excel at finding some way creepy stories! How sad and creepy. I bet those boys had nightmares for a long time about that find. Creeeeepy!!!! To be put into the tree still alive!!! In 1943 they didn't have expert forensics like today. Very sad. No clue if the graffiti artist knew the victim. It could even be her killer. Yikes! How creepy for those kids to find the remains! I knew a girl in highschool (in the 60's) whose mother disappeared when she was 7 years old. I often wonder if they ever solved that mystery. Can't they track her down through DNA? Or would they need to match up with a relative? That is sad that they really never knew who she was! 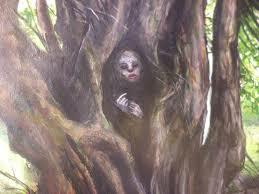 To be in the tree, still alive?? Horrible! You excel at finding some way creepy stories! It amazes me that so many crimes have never been solved. It would seem that family members could have reported her missing, but some people sadly have no family. And after so many years there might be no family left. Another of those unsolved cases. I'm doubtful if the person who did graffiti back then knew anything. Maybe they were part of the newspaper and looking to make the story more exciting. Awesome blog, i always enjoy & read the post you are sharing. Thank for your very good article...! Don't judge me, but my first thought was 'must be ghosts'.